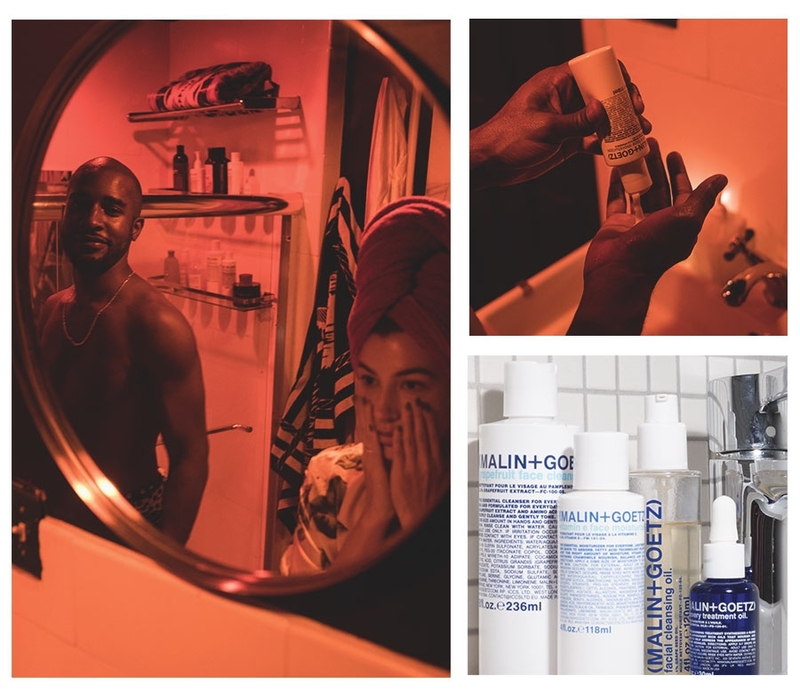 There's nothing more that I love than an evening of indulging in skincare, but the truth is that many nights the most I can do are 2 steps in my routine. That's why I love the facial cleansing oil, it deep cleanses and washes off makeup and dirt that accumulates throughout the day. Once I've cleansed, I follow up with the intensely moisturizing recovery treatment oil, which makes my face feel loved and renewed. what else can you do in 2 minutes? I can lay my baby hairs a few different ways in under 2 minutes. Right before bed, I wash my face with the grapefruit face cleanser. I like the feel of an oil cleanser—it's gentle and really hydrates my face. To lock in that dewy, hydrating feeling, I apply the vitamin e face moisturizer. why do you love (MALIN+GOETZ)? I love how simple and clean the products are, and the fact that they are unisex.